Hand beaded evening bag by LaRegale. Made in Japan. 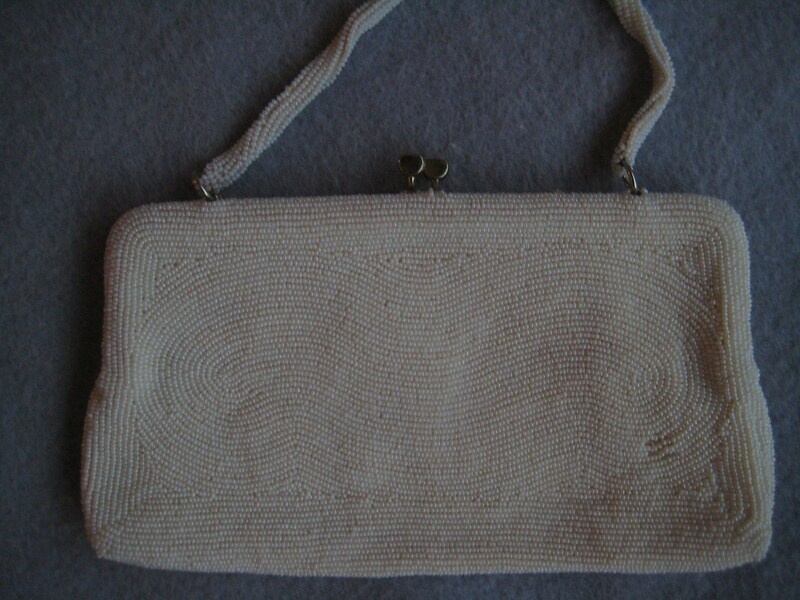 More off white than pure white, the bag is covered in a swirl of beautiful glass beads on the back and a cross and square design on the front, with long light gold bead accent. Satin lined frame with gold tone metal kiss closure. One tiny spot on the back where the beads are interrupted but does not distract. Beaded handle with a 4.5 inch drop. 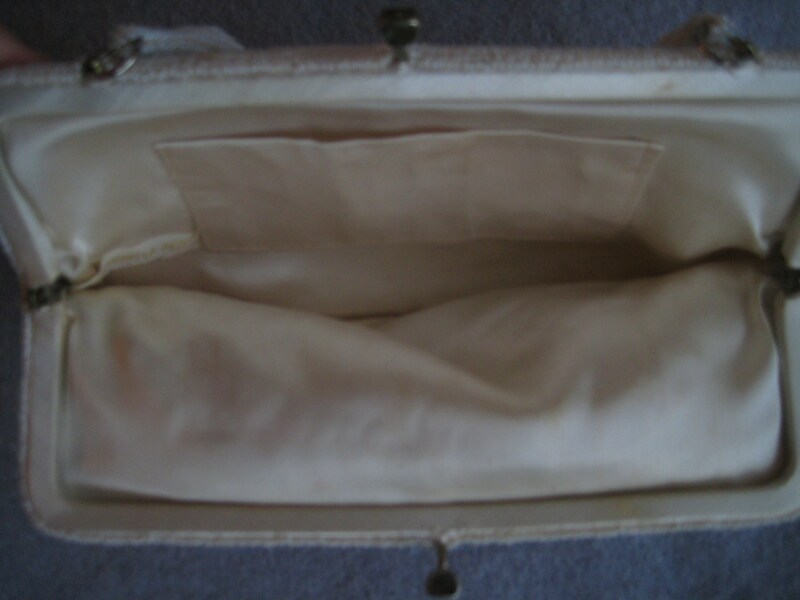 Cream colored satin interior with one side patch pocket. Roomy enough for a smart phone and essentials. 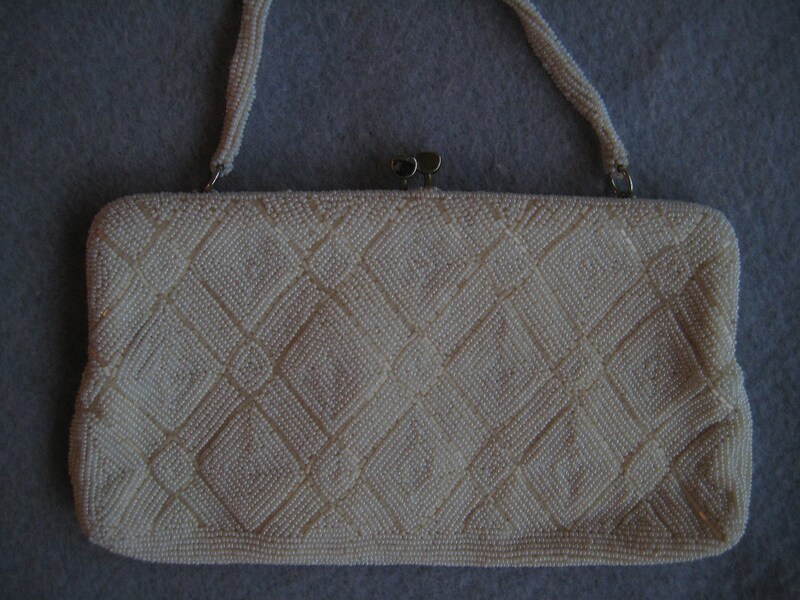 Stunning bag. Dimensions: 9 inches long x 5 inches tall.